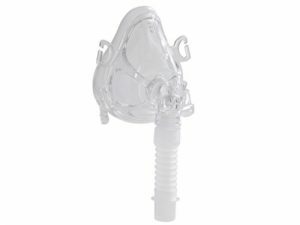 What Is Full Face ComfortFit Deluxe CPAP Mask? Who Should Buy Full Face ComfortFit Deluxe CPAP Mask? Sleep apnea is a chronic sleep disorder that currently impacts millions of people around the world. The condition is marked by symptoms such as chronic fatigue, snoring, and the occasional period of stopped breathing during sleep. There are many different ways to address sleep apnea, but CPAP masks seem to be the most effective type of treatment. Today, we will walk you through all the strengths and weaknesses of Full Face ComfortFit Deluxe CPAP Mask made by Drive Medical. In our Full Face ComfortFit Deluxe CPAP Mask review, you will learn how to use the mask, what sets it apart from other CPAP masks, and what customers think of the product. Full Face ComfortFit Deluxe CPAP Mask is a special type of product used to treat the symptoms that manifest themselves as a result of sleep apnea. Specifically, this mask was designed by the company Drive Medical in order to give users the chance to wear a comfortable mask that fully covers their face. 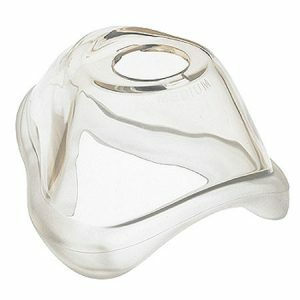 CPAP masks are first in a short list of products that have proven to be incredibly effective at treating sleep apnea. Throughout our Full Face ComfortFit Deluxe CPAP Mask review, you will discover what makes this specific mask so effective. When you begin shopping around for different CPAP masks to treat your sleep apnea, you will encounter a few different options to choose from. We won’t go into details on each individual type of mask (nasal, nasal pillow, oral, hybrid, full face), but we will talk about Full Face ComfortFit Deluxe CPAP Mask and what it can do for you. 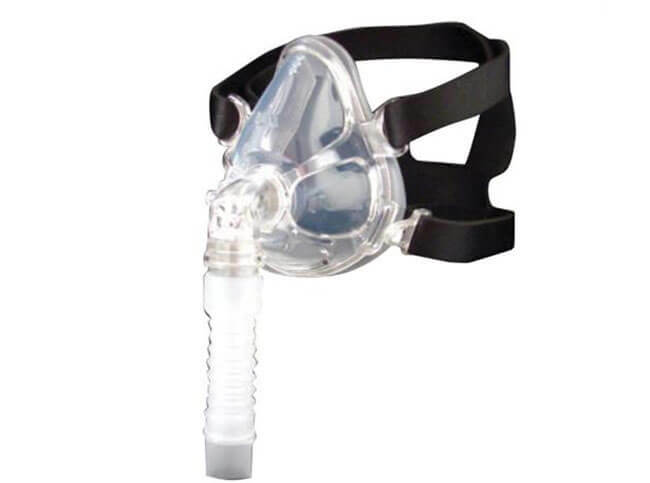 When you wear a full face CPAP mask, you are wearing a product that covers a triangular area from your chin to your forehead, encapsulating your nose and mouth along the way. While you sleep, your CPAP machine will force air pressure into your throat in order to fight away that collapsing feeling that you experience during your sleep. Full face masks are designed to be comfortable and effective. Drive Medical does not keep a sizing guide to their Full Face ComfortFit Deluxe CPAP Mask online. However, the company does have three different options available for customers to consider as they shop. The Full Face ComfortFit Deluxe CPAP Mask comes in three sizes, including small, medium, and large. If you want to find out which mask is suitable for you, consider contacting the Drive Medical customer service line. Whenever you use a product on a nightly basis, maintenance and hygiene are going to be hugely important points of discussion. While our Full Face ComfortFit Deluxe CPAP Mask review focuses primarily on the function of the mask, we also wanted to touch on the steps that you have to take in regards to maintenance and cleanliness. Full Face ComfortFit Deluxe CPAP Mask is made of solid, high-quality materials, but there are still a couple of things you need to do in order to maximize the longevity of the mask. Clean your mask and all components with warm water and mild soap. Allow the entire product to air-dry before use. 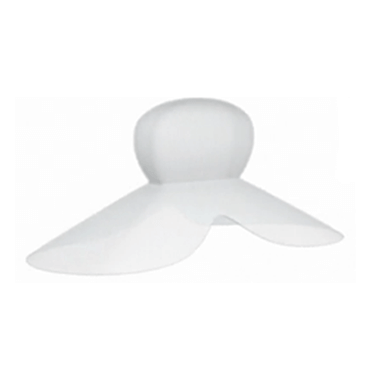 Monitor the mask for any signs of discoloration, wear and tear or cracks. Practice nightly cleanliness and your Full Face ComfortFit Deluxe CPAP Mask will treat you well throughout the duration of its use. If you are using a CPAP mask to treat sleep apnea, you are the target audience for Full Face ComfortFit Deluxe CPAP Mask. In our Full Face ComfortFit Deluxe CPAP Mask review, however, you’ll notice that we don’t limit the audience of this mask at all. 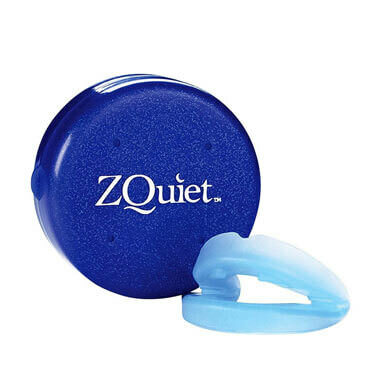 Anyone who struggles with sleep apnea can use the device. With that being said, full face masks are particularly effective for people who breathe through their mouth. Additionally, if you struggle with any breathing issues in relation to your nose, such as allergies or nasal polyps, Full Face ComfortFit Deluxe CPAP Mask is perfect for you. You can tell what we think of this product, but you should also know what customers think of it. We sorted out customer opinion into two categories: compliments and complaints. Each category is representative of the most common complaints and compliments that users around the world had when using Full Face ComfortFit Deluxe CPAP Mask mask. Compliments – Most customers were ecstatic to find out that this mask was as light on their face as it felt in their hands. Customers also praised the comfortable cushion and the ability to quickly take the mask off or put it back on. Customers were also quick to compliment the fact that the seal was routinely tight and did not leak. Finally, customers also called the mask ‘soft’ and praised the silicone material used to fabricate it. Complaints – No mask is without its downsides and customers did have a few problems with Full Face ComfortFit Deluxe CPAP Mask. One of the recurring issues that a minority of customers highlighted was that the mask occasionally left a red ring around their face when they woke up. 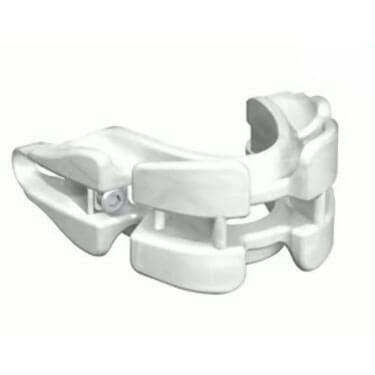 Some users also felt that it was hard to get an appropriate sizing of the product without consulting with Drive Medical in person. As with all wearable CPAP masks, the manufacturers at Drive Medical understand that you need a product that you can afford without sacrificing quality. Full Face ComfortFit Deluxe CPAP Mask comes in three different sizes, as we highlighted earlier in our review. The small mask costs $115.99 while the medium and large masks come with a price of $121.99. The product must be unopened. The product must be returned within 30 days. If you are still unsure if Full Face ComfortFit Deluxe CPAP Mask is right for you, check out the key advantages and flaws of this snoring aid. Our Full Face ComfortFit Deluxe CPAP Mask review painted a picture of an easy-to-use CPAP mask that is both effective and comfortable to wear. Flexible enough to be worn while reading or watching television, Full Face ComfortFit Deluxe CPAP Mask is an ideal answer to sleep apnea for people who like to sleep on their back, have problems breathing through their nose or exclusively breathe through their mouth while sleeping. Our ratings are the result of an objective and independent evaluation of Full Face ComfortFit Deluxe CPAP Mask, generating the final rating that reflects the overall quality of the company. Ratings may change as the product introduces changes. Full Face ComfortFit Deluxe CPAP Mask user rating based on 3 user reviews. It took to freakin weeks for the mask to arrive to my address! The user support did nothing and couldn't answer any of my questions. The mask itself works pretty well, though. This Devilbiss mask doesn't come with any for head padding, which is excellent if you want your eyes to be completely free and want to wear glasses before falling asleep. So, if you like reading or watching TV before bed, this mask will give you all the room you'll ever need. The mask does what it's designed to do and then some. The rubber hose is pretty bendy and elastic and doesn't interfere when I'm rolling in bed during the night. on the other hand, it leaves red sores around my nose that take up to a couple of hours to disappear when I wake up. The mask is not uncomfortable or anything, it just irritates my skin for some reason I don't quite understand. We found 0 verified Full Face ComfortFit Deluxe CPAP Mask discounts for April, 2019. There are no Full Face ComfortFit Deluxe CPAP Mask coupons or discounts right now.